People looking for homes want a simple search experience. One that gives them what they’re looking for fast and without having to think too much. Now with Streamlined Search, you can provide your website visitors with a home search experience that rivals the large portals like no other IDX solution can. With Streamlined Search, we have solved some of the biggest IDX issues facing agents on their own websites: standardized data, mobile usability, and user experience. 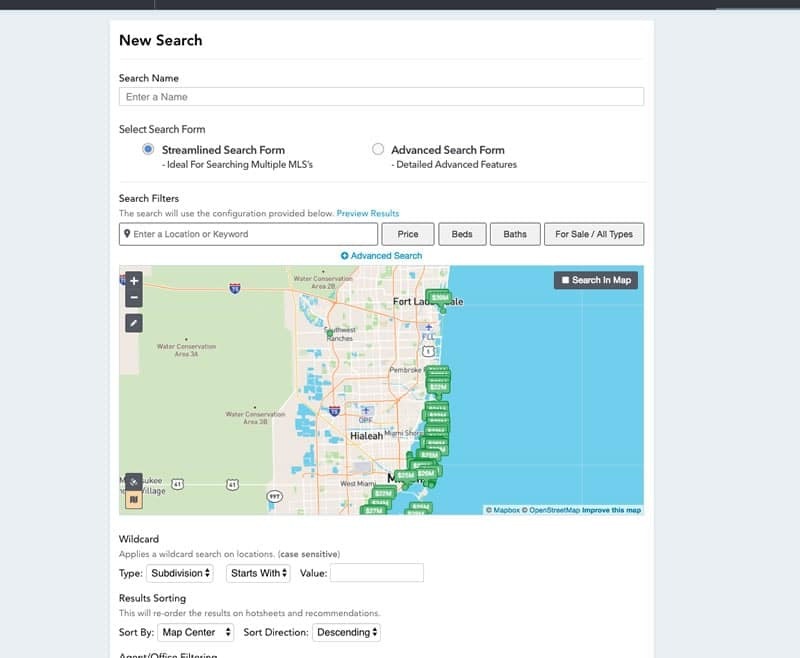 See Streamlined Search in action on a live real estate website, here. Streamlined Search uses a new proprietary set of MLS fields within Showcase IDX that standardizes feature fields from across all of our MLS partners, and makes it so these fields can be easily and accurately searched across multiple MLS’s. This data project is the foundation of our new search capabilities, allowing for complex searches to be performed quickly across MLS that until now have had different data formats that made searching across them tedious and prone to error. Streamlined Search now puts all of the power and convenience of a desktop search, into the mobile experience. Our approach makes the entire website search experience work seamlessly with each other regardless if you’re using a desktop, phone, tablet, or VR device. In designing the mobile Streamlined Search experience, we looked at ways to simplify the interactions with the search that makes sense when you’re using the search in your hand. Gone are long drop-down menus for adding a price range, replaced with a numeric keyboard to quickly add the price. We’ve also added the ability on other range fields to simply tap the + and – buttons to increase and decrease the values to quickly set the values without having to type in a number (but you can do that too if you like). 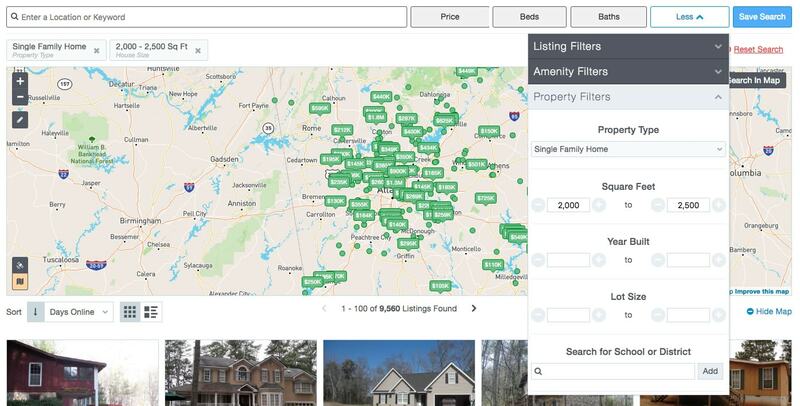 Based on a year’s worth of user behavior analysis, customer feedback and iteration since the launch of our 3.0 version in 2017, Streamlined Search gives agents and teams a powerful search that anyone who has searched on the large search portals (Zillow, Redfin, etc) will find familiar, along with a few new useful twists and surprises. The design of the search shows how much thought was put into having a search experience that delivers across all devices and just makes sense. Instead of our existing search’s Advanced Search menu, we now have a more prominent More button. 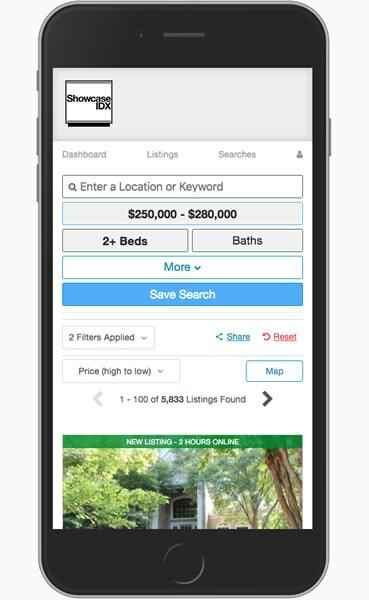 Clicking this opens up a series of options, with property, listing, and amenity feature tabs, that give the user the ability to perform detailed and very specific searches across multiple MLS’s. These tabs have the search options that we found that are used over 95% of the time. For those other searches, we’ve added the ability to search for multiple keywords or key-phrases within a listing. 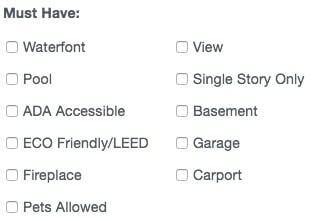 One way we’re making it easier for consumers to find the right home for them is through our must have filters. These filters use our standardized MLS data to provide accurate results combined across all of our MLS’s. Streamlined Search is fast. Real fast… even on a mobile device. Showcase IDX customers will be able to choose which search they have on the front-end of their websites. Streamlined Search is opt-in, which means customers will have to go into their Search Settings and choose which search they want their visitors to use for it to show up on their website. To upgrade to the new search, just go to the Showcase IDX Admin, select the website you want to switch to Streamlined Search and go to Settings>Search and you’ll see the option at the top. Even though there will be only one search on the front-end of the website for visitors to use, agents will be able to choose on a case-by-case basis which style of search they want to use on the back-end for creating hotsheets and recommended searches. This means that if you want to use our very detailed advanced search filters to set up a hotsheet or recommended search, you can still do this. it’s entirely your choice which style of search you use. All of your current saved searches and hotsheets will not be affected by the new Streamlined Search. Learn more about the home search you could have.